Good morning. 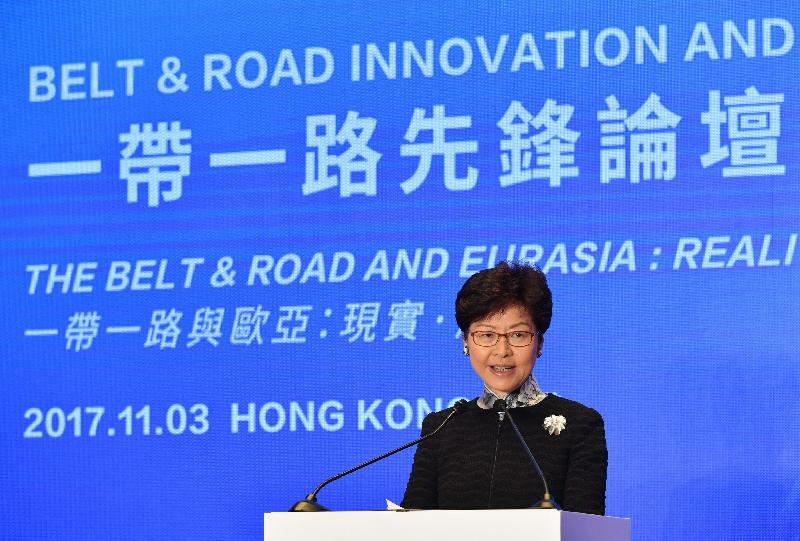 It gives me great pleasure to be here, to be addressing such a prestigious international gathering on Eurasia and the Belt and Road Initiative, a subject which promises to be an engine of growth for Hong Kong's economy. Some 2 000 years ago, China's Han dynasty pioneered the ancient Silk Road for trade, linking China and Central Asia all the way to the Mediterranean Sea and Europe. In the 1400s, the Ming dynasty's Admiral Zheng He reshaped the Maritime Silk Road, leading seven expeditions from China to Southeast Asia, India and on to Africa. Today, the Silk Road has once again been reborn in the form of the Belt and Road Initiative. The Belt and Road Initiative embarks upon a new vision, connecting countries and people from the East through the Central and Middle East to the West. This Initiative has become a highly inclusive and a non-static growing platform, as more and more countries are interested in joining. Central Asia has long been the ancient Silk Road's East-West bridge for goods and cultural exchange. Take for example Samarkand of Uzbekistan. It is one of the major Silk Road cities that have been at the crossroads of world cultures, and having a history of more than two and a half millennia. Its historical monuments are listed UNESCO heritage sites, underlining the significant role played by Eurasia countries in the furtherance of economic and cultural linkages. Similarly, Hong Kong has for centuries served as a converging point of East-West trade routes, an entrepôt for Mainland China, and a melting pot of cultures. Today, Hong Kong continues to be a central East-West link. And under the Belt and Road Initiative, that role is now expanding, creating new horizons for Hong Kong. We are actively seeking out closer ties with Eurasian countries. Last year, we signed an Air Services Agreement with Kazakhstan and, earlier this year, we entered into Comprehensive Double Taxation Agreements with Russia and Belarus. Hong Kong's trade with the region is also expanding. In the first six months of this year, year-on-year increases have soared - from 37 per cent with Russia to 97 per cent with Kazakhstan. Designed for promoting connectivity, including trade and investment flows as well as infrastructure connectivity, countless collaboration opportunities have emerged under the Belt and Road Initiative. It is up to all of us to capitalise on them. In this regard, Hong Kong has many strengths to offer. We are among the world's leading financial capitals, as well as a major regional asset-management centre. For the past two years, the Hong Kong Stock Exchange has led the world in funds raised through initial public offerings. We handle some 70 per cent of global Renminbi transactions, providing a wide range of Renminbi services and products - from dim sum bonds to insurance. Our financial talent pool is deep, multilingual and as connected with the money markets of the Mainland as with the world at large. 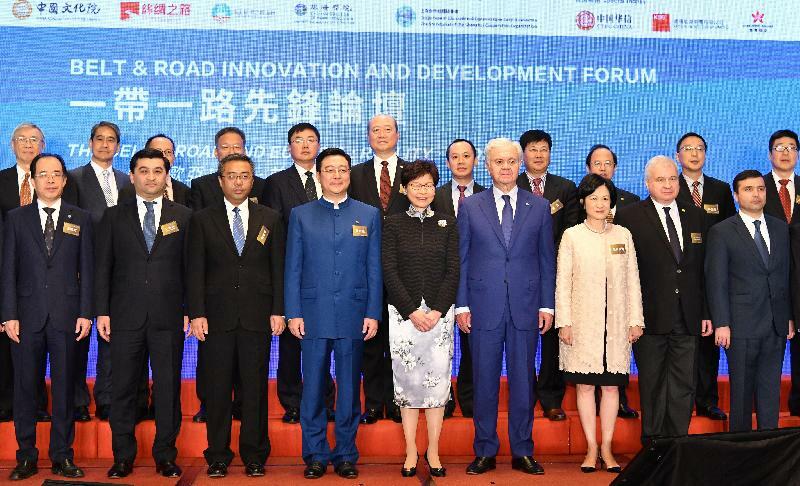 Hong Kong is, in short, ideally positioned to serve as the Belt and Road's fund-raising and risk-management capital. We are built on a much broader base than finance alone can provide. Under "one country, two systems", Hong Kong is both part of China and blessed with our own economic, social and legal systems. We are a global city with an open market, happily married to the free flow of capital, goods and information. Our free enterprise system benefits from the rule of law and our independent judiciary. We are simply the world's freest economy. A city that has long attracted business from the Mainland and throughout the world creates confidence, and confidence is what business wants. Indeed, we are home today to over 8 200 foreign and Mainland companies, more than 1 400 of which serve as regional headquarters. Eurasian companies are most welcome to join us here in Hong Kong, where the playing field for business is always level, always open to companies wherever they come from. It helps that our taxes are as low and uncomplicated as you'll find anywhere. And, I'm pleased to say, they're about to go even lower. In my maiden Policy Address delivered last month, I announced new tax measures geared to benefit small and medium-sized companies. Specifically, our profits tax rate on the first HK$2 million - that is just under US$260,000 - of a company's profits will soon be cut in half, to 8.25 per cent. In addition, we will give companies a 300 per cent tax deduction on the first HK$2 million of their research and development expenditure, with the remainder set at a 200 per cent deduction. It is in such a dynamic business environment that the fast-emerging opportunities presented by the Belt and Road will rise and multiply. Among others, infrastructure development is the driving force of the Belt and Road Initiative. In this respect, Hong Kong has much to offer in professional service areas such as consultation, planning, design, construction, project development, operation management and capacity building, etc. We have abundant seasoned professionals in such different sectors, and more importantly, our professionals have proven experience in working on such large-scale, international projects. As well, here you can find a wide range of world-class professional services including insurance, accounting, business and legal services, all of which combined creates a comprehensive and modern services platform that should be useful for Belt and Road pursuits. Ladies and gentlemen, the Belt and Road Initiative is the new driving force of the global economy over the next few decades, with strong emphasis on international co-operation. It will attract more international interactive trading systems and investment flows. Now is the time for us to awaken to the Belt and Road chimes. I believe with us jointly acting together, the Initiative will materialise into reality. Before I close, my thanks to the organisers for giving me this welcome opportunity to speak to you today. I wish the Forum every success, and I look forward to working with you all in connecting the continents, and the economies, of Europe and Asia through the outsized vision of the Belt and Road Initiative.